Why Chocolate Shortbread Hearts? Because this month is my 8th blogiversary here at Delightful Repast, and I was thinking how much I ❤ you, my dear readers. I had no idea when I started out that I would be doing it for so long! Or that I would actually build a community of nice people who enjoy the same things I do. Like comfort food and tea and wine and the occasional sweet treat like this. 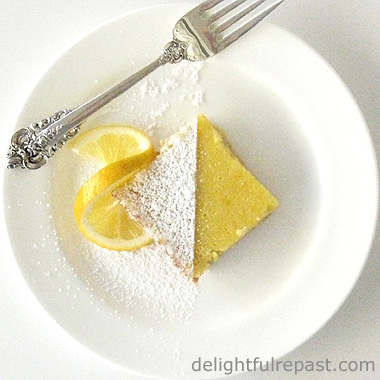 I like things less sweet, so I prefer this recipe with 1/3 cup sugar, but you might like it with 1/2 cup. He's the chocolate fan in the family (and is currently enjoying some 86% cacao chocolate, which is pretty intense), so I defer to him in all matters chocolate, since I can take it or leave it myself. I know, I know, that isn't natural. But hey, I hate shopping, too. I'm just a freak of nature! If you think this is just a paltry amount of cookies, you can easily double or triple the recipe. Also, you can shape them lots of different ways. I have a small collection of 2-inch cookie stamps and used the teapot stamp for the cookies below. The teapots show up much more clearly on pale, plain shortbread cookies, but still these are kind of cute, don't you think? I just used a 2-teaspoon measuring spoon of dough for each, rolled it in a ball, put it in the center of the stamp, then placed it on the parchment-lined baking sheet and pressed till the dough reached the edge of the stamp. The coffee is optional. I don't use enough that you really taste the coffee, just enough to do that certain something that coffee does to perk up the chocolate flavor. * I always buy organic and Fair Trade Certified coffee and cocoa products. 1 In small bowl, whisk together flour, cocoa and salt. 2 In medium bowl, cream the butter, sugar and vanilla extract just until smooth. 3 Add flour mixture to creamed mixture and mix well without beating a lot of air into it. 4 Roll out dough to 1/4-inch (6.35 mm) thickness between 2 squares of parchment paper. Place on baking sheet and refrigerate for at least 1 hour. Note: If you want to use the same technique that I use for making the butter sheet for Croissants, it makes rolling out the dough evenly very easy. Fold a 24-inch length of parchment or wax paper in half widthwise and fold up the open sides to make a 10x7-inch package. Unfold it and place it on the work surface. Arrange the slab of dough in the middle of one end of the paper within the "package" area; flatten it a bit. Refold the package and turn it over so that folds are underneath. With a rolling pin, roll the dough in an even layer to fill the package. Place on baking sheet and refrigerate for at least 1 hour. 5 With heart-shaped cutter about 2.5 inches wide and 2.25 inches tall, cut out shortbread. Re-roll scraps and cut out more. Place on parchment-lined baking sheet and refrigerate for 15 minutes to 1 hour. Preheat oven to 325F/165C/Gas3. Note: If you roll the dough into a 10x7-inch rectangle as in Note above, you can just cut the dough into 25 rectangles. 6 Bake for 25 to 30* minutes, until quite firm. Cool on baking sheet for 5 minutes. Then transfer to wire rack to cool completely. * I'm sure that depends on the size and thickness of the cookies, as well as your oven; so start checking at 20 minutes and don't walk away. If you make them the same every time, you can settle on a time. Can’t go wrong with Coffee and Chocolate. Cue the music – “CC Rider.” On my palate, dark chocolate and coffee vs. milk chocolate and coffee are distinctly separate treats. In any event, your Valentine heart plate needs a little glue under each cookie. That’s because it begs to be hung on the wall. Mr. Delightful will have to gnaw at it while standing up. 5 cleavers for that image and 5 cleavers for the cookie hearts! Thanks, Sully. Hadn't thought of hanging it on the wall; but now that you mention it, one *could* make a clock out of them! Oh Jean, you've outdone yourself, ma'am! I appreciate the inspiration - yum yum YUM!!! Oh my gosh, that teapot stamp has absolutely made my week! I'm quite overcome by the possible uses for it. The shortbreads look divine, Jean. Happy bloggiversary! Michele, thank you, ma'am! :-) Yes, I'll be making those teapot cookies for my next afternoon tea party. Let me know how they turn out for you! Pauline, I knooooww! I've seen teapot stamps before, but this one (given to me a couple months ago by a dear friend) is especially pretty. And stamps come in all sizes, but I only ever get the 2-inch stamps because that size cookie is perfect for afternoon tea. 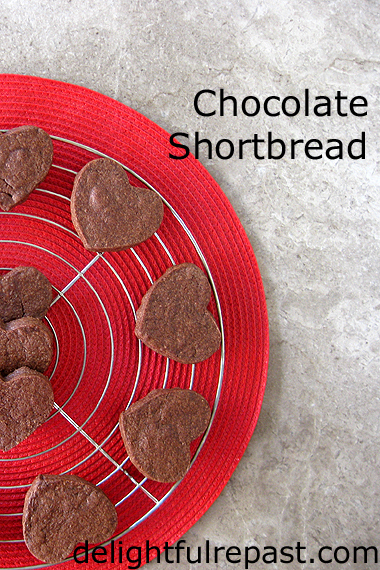 We dearly love chocolate shortbread so it would indeed be perfect in heart shapes for Valentine's Day. Posting a lnk to this on my FB page! Thanks for linking to Tuesday Cuppa Tea! These look amazing.....why must you do this to me when I started back to weight watchers this week????????? Pinning for the future!! Your shortbreads look wonderful,Jean!Happy Bloggiversary,love your amazing blog!Hugs! Ruth, thank you so much! FB and all social media shares are much appreciated. Thanks, Debbie! Wouldn't WW allow one or two?! Thank you, Maristella. And a big hug to you! Thank you, Martha. I hope you both like them! Congratulations on your 8-year blogiversary, Jean! I always enjoy learning about new foods on your blog. I also didn't know that you can insert emojis in blogs. I love the chocolate shortbread with the teapot design! Thanks, Margie. I'm glad you enjoy it. And, of course, you would like the teapot design! :-) I really enjoy reading your tea posts. Karen, thank you. It's hard to believe I've been at this for 8 years! Happy 8 years of blogging, Jean!! I just love your chocolate shortbread cookies. The stamped teapot design is adorable, but I love the ❤'s as well. These would be perfect with a cup of tea. Thank you for sharing! Thank you, Kitty! It's been quite a journey, and I've gotten acquainted with the nicest people (and their adorable little kitchen assistants!). Happy blog anniversary! These shortbread cookies sound delicious. I’ll be making a batch this weekend. Thanks for the recipe! Thank you, LOTM! I hope they turn out well for you. Looks like a great Valentine Day treat. Did you ever try sprinkling the tea pot with powdered sugar. I suppose you'd have to cut out a template. Cute stamp. I have a chocoholic husband, too! He'd love this shortbread! Ellen, that's a great idea! I'll have to try it next time. Thanks, Liz. Lots of chocoholics around! I was one until I was about 30 and just lost my taste for it. Two of my favorite things...chocolate and shortbread. YUMMY. 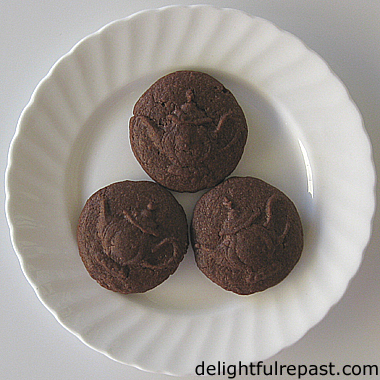 Love chocolate shortbread and the teapot is definitely cute on the round cookies. Thanks for visiting me today at Delights of the Heart. Elise, thank you. I love a nice crunchy shortbread with my tea. Thanks, Marilyn, I had to include a few tea-themed cookies for all my fellow tea aficionados! Shortbread is my favourite cookie! Happy Blog Anniversary, Jean! Thank you, Carrie. Another reason to eat only homemade - store-bought cookies are almost all too sweet. Thanks, Angie. And you've been at this a couple years longer than I have! These are so perfect for Valentine's Day! I have never had chocolate shortbread cookies before. I think I've been missing out. There has to be no better way to eat shortbread cookies than having them be chocolate. Thank you for sharing this recipe! Thank you, Natalie! If you're a chocolate fan and have never had chocolate shortbread, you ARE missing out. I first had it in an assortment box of Walkers shortbread years ago. Hope you'll try it soon. You had me at chocolate, Jean, but then chocolate shortbread cookies, oh my, I'm trying this asap. Yum and sharing to so others can find this treat. Thanks. Happy blogiversary! Here's to many more. And where can I get that teapot stamp?? Thanks so much, Tracey! I'll track that down for you and email you. Marilyn, thank you! And I am soooo longing to have a little tea party. I love the little teapot stamps and actually bought some Christmas ones recently. The hearts are pretty cute for Valentine's Day as well. Thanks so much for linking up and sharing with us at #BloggersPitStop and have a great week. Thank you, Sue. I always enjoy the great variety of links at #BloggersPitStop. 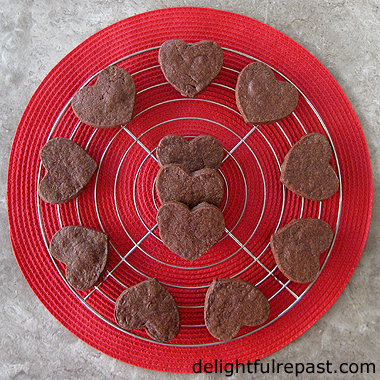 There is much fun here with these heart shaped cookies - great recipe and thanks for sharing. You are speaking my language here, Jean!! My, they look good!! Thanks, Cheryl. They'd go really well with your cup of coffee! These look good. I might have to make those for Valentine's Day dessert, since the sugar cutouts from our crafternoon a few days ago won't be fresh -- if they even still exist! And Mr. Rick loves chocolate! A smaller recipe would be a plus, too! Danger, Will Robinson! These are so cute! And perfect if you're not into overly sweet things like me! Pinning! Thanks, Jeanie. And you just might let Rick make them, since he's so handy in the kitchen! Amy, thank you so much! AND for pinning - social media shares are much appreciated! Chocolate plus shortbread equals a perfect cookie, to me! And I like the small batch! Thanks, Lorrie. So good with a cup of tea! And I'm glad to get another person in favor of a small batch. Many, many years ago, Jean, there was a song by Elton John called “Cold Cold Heart.“ Me, being an absolute lover of anything with cocoa, just assumed that the song was “Cocoa Heart.“ Every time I see a heart shaped chocolate shortbread, I can’t help but sing the song! These are lovely, and I hope you two have a wonderful Valentine’s Day! Thank you, David. That is so funny - I guess we hear what we want to hear, and some of us hear food! Oh my sweet friend, these shortbread cookies look so appetizing, I'd love a couple with a glass of milk right now !! Aaww, thank you, Fabby. I haven't had milk and cookies in decades - now you've made me nostalgic! Space age doilies in my football teams colours and chocolate shortbread stamped with tea pots. Hits the spot, Jean!!!! Thanks, Tony. And "space age doilies"? You've made me see my tired old placemat in a whole new light! Happy blogiversary!! those cookies would be lovely with a cuppa tea. Thank you for visiting my blog and your lovely comment. Looks really good - I've never made or had chocolate shortbread and I love the stamped teapots on those. Eight years of very fine recipes is quite an achievement. Since I'm the one in our house to be serious about chocolate, I can assure you that I'd love these. I love the tea pot design too, but then I just possibly love tea even more than chocolate. Suzy, thank you! And I hope you'll find other things you like here as well. Thanks, Lauren. I love those little teapots, too! And I like the light crunch of shortbread. Thank you, Alice. I hope you'll give them a try! Phil, thank you so much! And I definitely love tea more than chocolate - I love tea more than most anything! oh my! I love shortbread but I've never tried Chocolate shortbread! Yum! Thanks for sharing with Party in Your PJs! Thanks, Lynda. You must try it soon! Congratulations on 8 years of blogging, dear Jean! The blogging community is a beautiful one that is filled with precious people. Your chocolate shortbread cookies look and sound wonderful! Many thanks for the recipe. Stephanie, thank you. So good to hear from you! Hugs. oooo these look amazing!!!! Love the shortbread twist to it! Thank you, Lianne! I do love shortbread of any flavor. The light crunch and buttery flavor go so well with a nice cup of tea. Thanks, csuhpat1. I hope you'll give them a try! Thanks so much, Kathleen! On every blogiversary, I can't quite believe how long I've been at it! I love the wide variety of links at Blogger's Pit Stop. This sounds and looks so good...I wish I could pick one off the screen! Cathy, if I lived next door to The 1929 Charmer, I'd tell you, Put the kettle on, I'm bringing over some chocolate shortbread! You can never go wrong with chocolate shortbread! Happy 8th Blogiversary, Jean! Congratulations!! I like the idea of being able to reduce the sugar in these lovely cookies - and I'm all for more chocolate-y flavour. They are so pretty in their sweet heart shapes. Sharing on the Hearth and Soul Facebook page and around. Thank you so much for being a part of the Hearth and Soul Link Party. Thanks, April. And for hosting AND sharing! John, thank you. Where did the years go?! Karen, thank you so much! I hope you're having a wonderful day as well! Thanks, Judy! I like any shape or size, too, but they've gotta be "cute" for afternoon tea! Thank you, Christine! Everyone loves cutout cookies! These look delicious. I could just eat one or two with my cuppa tea now :) Thanks for sharing at Creative Mondays :) Hope you can join us tomorrow. Thank you! I'm having a cup of tea right now and could definitely use one of these! Thanks, Tired Mummy! Let me know how it turns out for you! Happy Anniversary!!! Your cookies are the perfect way to celebrate, they sound so good! Thanks so much, BRnLC! I hope you'll try these soon!